Where can you find a spacious townhouse-style apartment home at a price you can afford? Right here, at Colonial Townhouse Apartments. Our convenient location in southwest Durham, North Carolina, provides easy access to Duke University and Medical Center, NCCU, Research Triangle Park and Chapel Hill via nearby Durham Freeway, I-85 or 15-501. Public transportation is also available. For great shopping, Streets at Southpoint Mall is just minutes away, and Target and Sam’s Club are nearby. 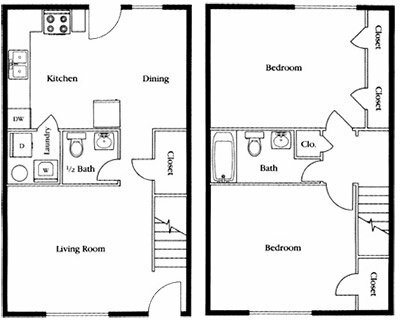 Our one and two-bedroom apartment homes feature large kitchens, washers and dryers, and walk-in closets in the upstairs bedrooms. The swimming pool has free Wi-Fi, and we offer access to a nearby fitness center. We have just what you need at Colonial! Colonial Townhouse Apartments is located and 2.32 miles from North Carolina Central University. The property has a Walkscore of 42, so you will probably be driving or taking public transportation most of the time. Colonial Townhouse Apartments has many shops nearby. Coffee shops in the area include Guglhupf, Mad Hatter Bakeshop & Cafe, Beyu Caffe. There are a number of markets in the area include Whole Foods Market, Walmart Supercenter, Bull Street Gourmet & Market.